They wear ridiculous clothes, have long lush hair, pout more than Barbie and they’re hitting Wolverhampton in fine spandex glory in November. 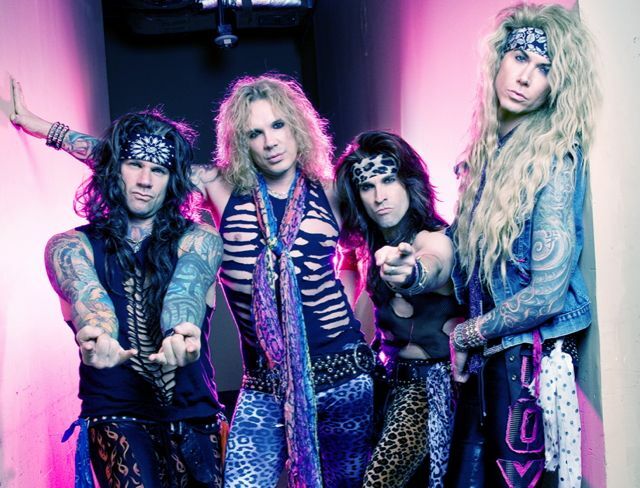 Welcome Steel Panther and their crimes against fashion. Michael Starr (vocals), Satchel (guitar), Lexxi Foxxx (bass) and Stix Zadinia (drums) released their second album last year and toured with Motley Crue and Def Leppard. Now they are hitting the UK with a tour to follow on from their successfully received support slots. Here’s a little impromptu set from them at 2010’s SXSW.